In a medium skillet on medium-high heat, warm 1 Tbsp of sesame oil. 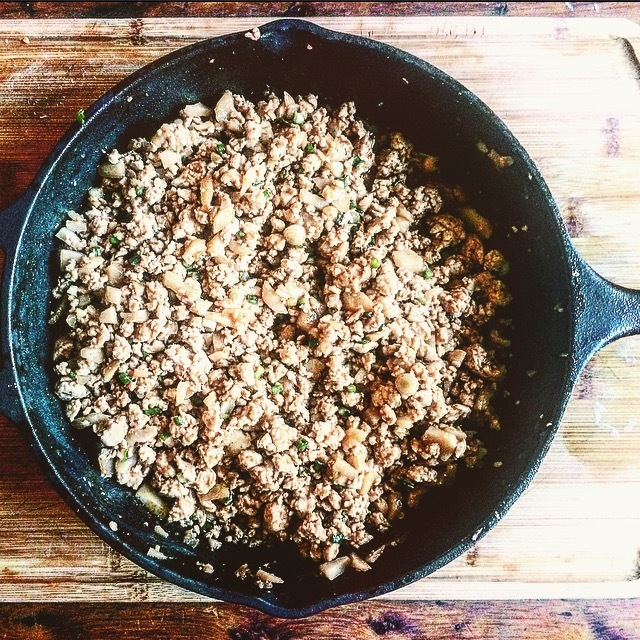 Add the ground chicken (or turkey) and cook until it is cooked through. With a spatula, break the chicken (or turkey) up into small chunk as it cooks, and then remove from the head. Next, stir in the garlic, soy sauce, hoisin sauce, ginger, rice wine vinegar, and Sriracha sauce, until your meat is completely coated. Next, fold in the water chestnuts, green onions, sesame oil, and peanuts. Salt to taste. Heat the red pepper flakes in the sesame oil in a small skillet until the flakes begin to brown. 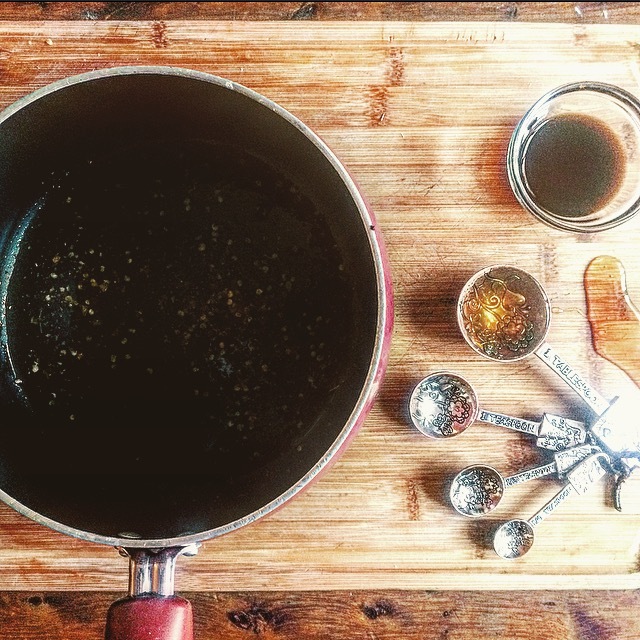 Remove the skillet from the heat and strain the oil into a mixing bowl removing as many of the flakes from the oil as possible. Next, mix in soy sauce and honey, and stir until blended. 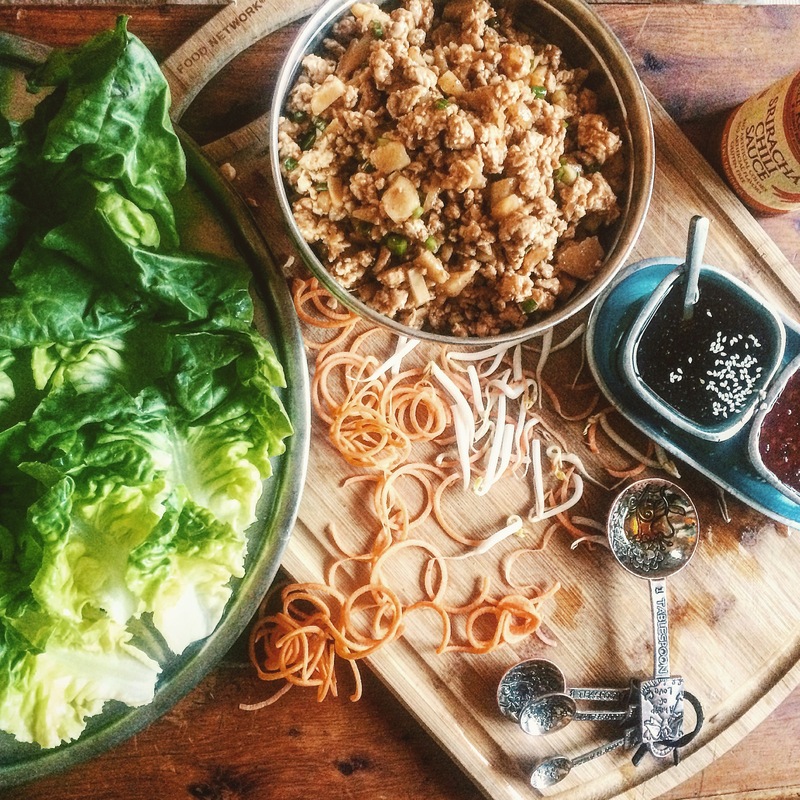 Scoop the Chicken lettuce wrap mixture on top of washed butter lettuce leafs. 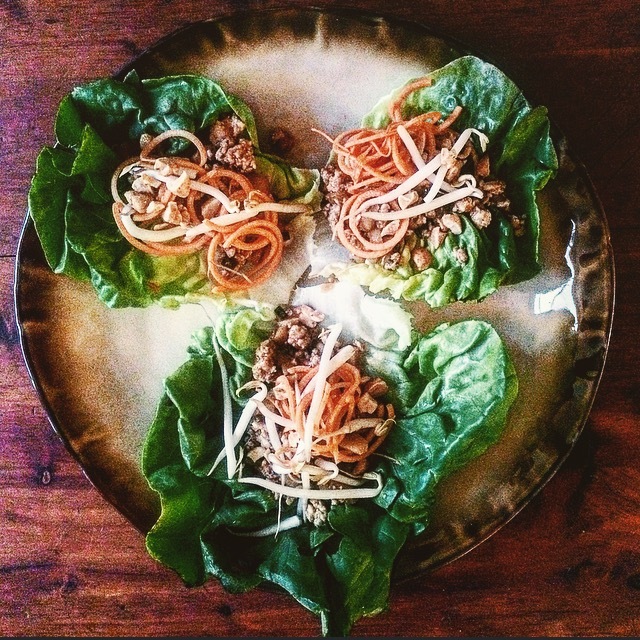 Top with shredded carrots and bean sprouts. Finish by sprinkling a spoonful of sauce on top.